The project includes the demolition of the Rice Warehouse building and an existing slab on grade foundation. 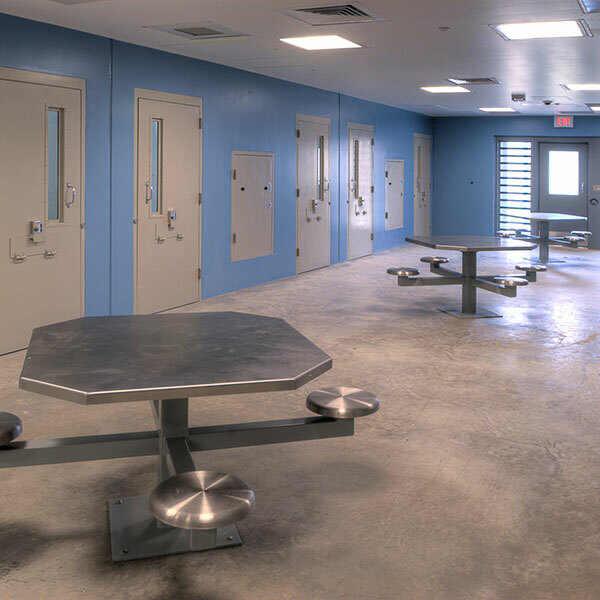 A new 77,000 sf Juvenile Probation Office Building and 12,000 sf Maintenance building along with a 30,000 sf new detention, a new gym facility and infirmary were also part of the scope. 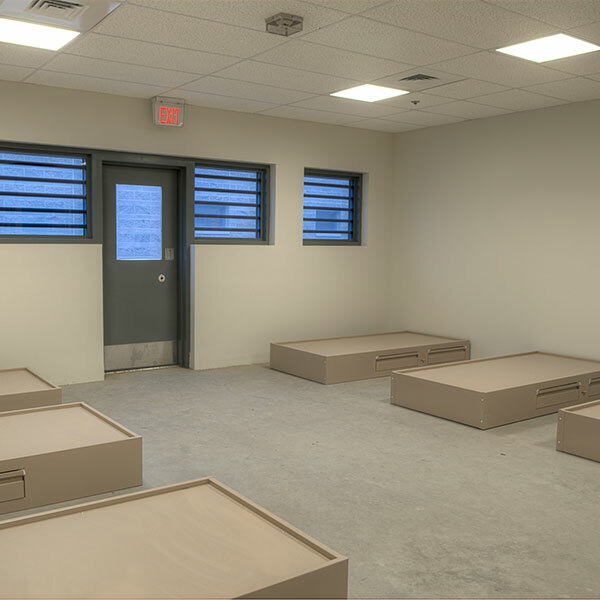 The current detention housing unit was expanded with 48 new pre-cast modular cell units adding 96 beds. 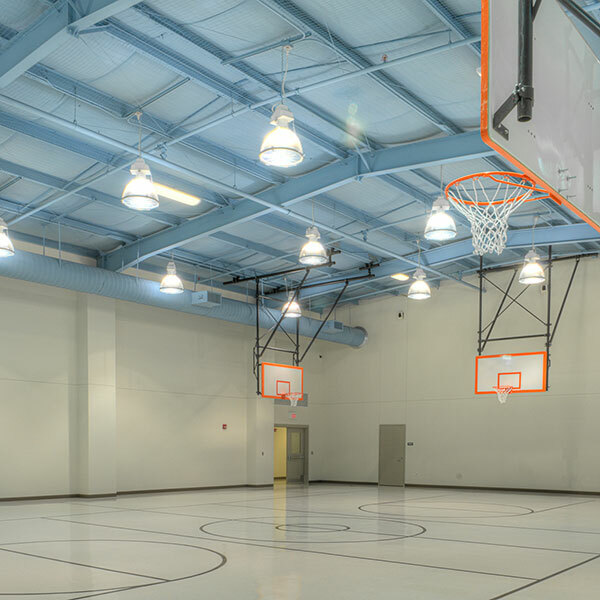 Interior renovations and improvements took place in an additional 108,000 sf, making the total project close to 236,000 sf. The project was broken down into two teams that each focused on one of the Architect’s designs. Job site meeting were held to coordinate the work not only on individual buildings, but coordinate with each other to ensure everything was addressed in the safest and most productive way possible. Another on-time delivery was achieved. Pre-installation meetings were held before proceeding with many scopes of work such as roofing, waterproofing, cabinetry, etc. 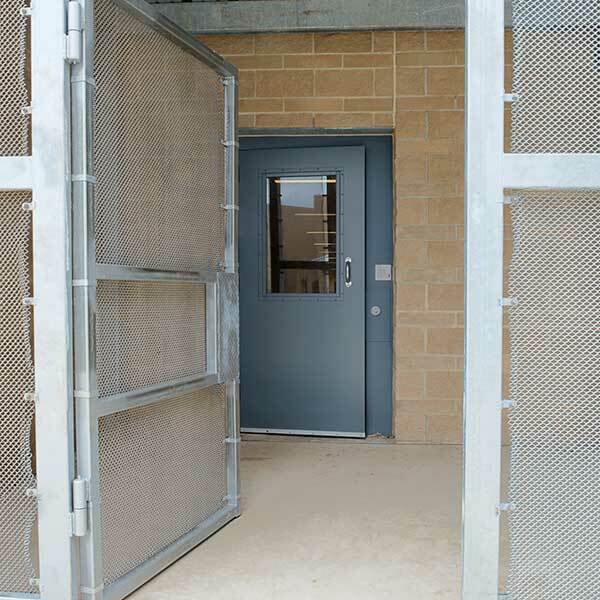 Quality and craftsmanship were checked throughout the day by three superintendents with support from a project manager, assistant project manager and a full-time owner’s representative. All superintendents and PM’s were OSHA-30 certified and Phase I of project required a mandatory general safety class before mobilization. In addition, Weekly safety tool box topics were distributed to subcontractors and safety was a weekly agenda item at project meetings.